Art Bade is living the dream of millions of Americans: retirement on the water in Florida just off of Rocky Point. But his retirement is turning into the job of bill collector. “That is very true,” says Bade. His job is similar to that of Mia Vellafanas of South Tampa. 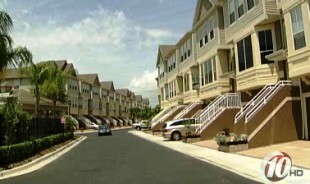 “It's been somewhat challenging for us.” Both are directors in their HOA. “We've had some new struggles that have come up that we've had to deal with that are time consuming,” says Vellafanas. What they're saying between the lines is, that they have neighbors that are not paying their HOA dues. It's a trend that is growing in the Bay area. “People are just caught short nowadays,” says Dave Kushner, a property manager for Bay Area management. 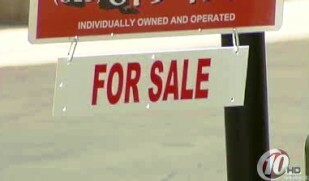 He is seeing more liens being assessed against homeowners than ever before due to unexpected economic struggles. Unfortunately for many homeowners, Kushner says that this new problem is making itself feel right at home. “It's not a quick solution. You're probably looking at three to five years,” says Kushner. That means that homeowners who have been on time with their HOA dues can still be surprised with assessments at the end of the year, because of neighbors who can't or refuse to make a payment. One interesting side note is that a majority of those who are not paying their HOA dues in the two housing complexes we went to for this story have jobs in either the mortgage or real estate industry.